WARNING! DO NOT USE THE SBF FILE TO RESTORE TO 2.1 AFTER YOU HAVE INSTALLED THE OFFICIAL 2.2 UPDATE FOR THE DROID X, YOU WILL BRICK YOUR PHONE GUARANTEED! YOU CAN USE THIS IF YOU HAVE INSTALLED THE LEAKED VERSION AND WISH TO REVERT TO 2.1 IN ORDER TO GET THE OFFICIAL 2.2 UPDATE, OR HAVE CHOSEN TO STAY ON 2.1. So I had a hell of a time yesterday finding the rile files to recover my Droid X if needed (which they were) and still had to feel my way through ADB to fix my phone before I actually found the needed files. With that, I’m hoping to take some of the strain off anyone else that runs into the same hold up I was in yesterday. You’re phone was modified, messed up, or whatever and now it’s either stuck at the boot logo, just turns on to a black screen, or simply the Froyo update won’t apply. So to start off, you need some important files. The first is “a gift” that you NEED to download, backup, and lock away for safe keeping (the backup that is.) You can get this magical file here. Now you need a little program called RSD Lite. You can get that here. You’ll also want a copy of the drivers for your phone, you can get here. Now install the RSDLite 4.7 that you downloaded above. 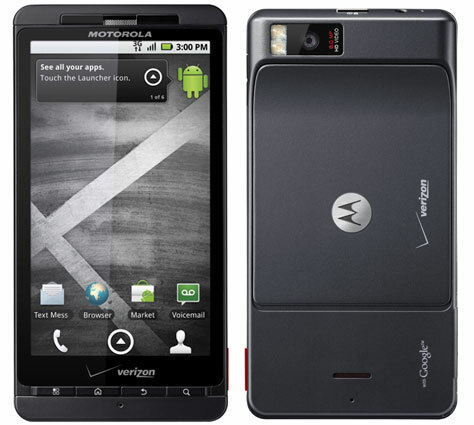 Make sure you find the file pst_flash.ini and move it to the directory \Program Files\Motorola\RSDLite. Now install the drivers that you downloaded. Only install the 32 or 64 bit drivers, not both. The ones you need depend on whether or not you have a 32bit or 64bit version of Windows. Find “the gift” you downloaded and unzip it into a folder on your C drive. Create the folder, and name it whatever you want, and place the contents of the zip file in there. Now open RSDLite as an administrator (Hold the shift key, right-click on the icon, and select Run As Administrator from the menu) and point it to the directory you made on your C drive that holds the contents of the unzipped “gift” file. Now boot your phone up into “bootloader mode” (different from recovery mode) by holding the camera and volume down buttons while powering on your phone. This should take you to a black screen with white text. Now you can plug your phone in via USB. RSD Lite should recognize your phone, and light up the Start button in the program allowing you to click it. Click the start button, sit back, and let your phone restore to stock with a full, clean image!